Germany and Bolivia today sealed a partnership for the industrial use of lithium, a key component in the batteries that power electric cars and cell phones. ACI Systems will work with state-owned Bolivian Lithium Deposits (YLB) on installing four lithium plants in the Salar de Uyuni salt flats, which hold the world's second-largest lithium deposit. The joint venture also plans to build a factory for electric vehicle batteries in the country. While more than 80% of the lithium extracted will be exported to Germany, the company is said to be in talks with other European companies. The partners expect to produce up to 40,000 tonnes of lithium hydroxide per year, beginning in 2022, over a period of 70 years. President Evo Morales sees a prosperous future for the impoverished nation, pinning his hopes on the rapid rise in the global price of the so-called white petroleum. Bolivia holds millions of tonnes of untapped lithium reserves. The Salar de Uyuni salt flats alone contains nine million tonnes of lithium, or around 25% of the world's known reserves. Salt flats in the highlands of Bolivia are thought to hold millions of tonnes of untapped lithium reserves. 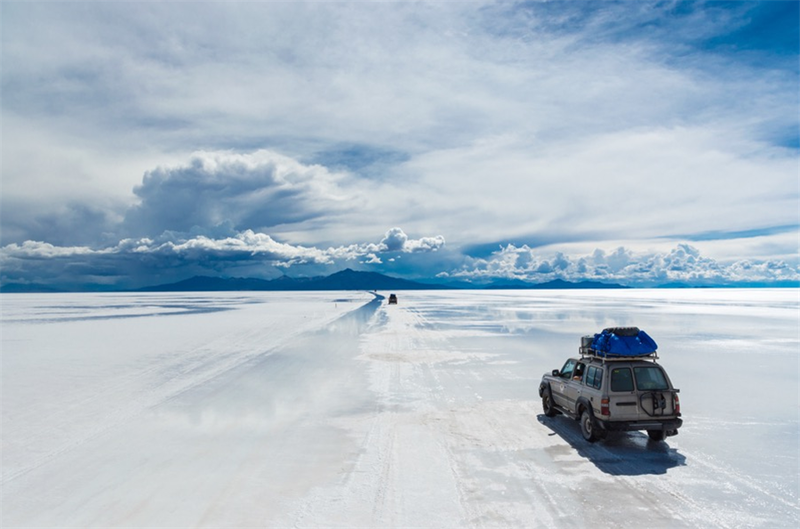 According to the US Geological Survey, the Salar de Uyuni salt flats alone contain nine million tonnes of lithium, or around 25% of the world's known reserves. The country also holds other lithium deposits, and experts believe that Bolivia holds about half of the world's lithium. But the South American nation faces an array of challenges before being able to develop a lithium industry. The Morales administration — South America’s longest-standing populist regime — doesn't want Bolivia to be a mere exporter of raw material, but rather wants to transform the country into a hub where the entire chain of activities involving lithium takes place. Another issue is the purity of Bolivia’s lithium, which has higher levels of magnesium than found in neighbouring Chile and Argentina. Bolivia's salt flats are also subject to seasonal flooding, resulting in a lower evaporation rate that makes it more expensive and difficult to refine. A lack of infrastructure and investor confidence in the Bolivian government are other issues negatively affecting Morale’s hopes for a developed lithium industry. And then there is ACI Systems Alemania GmbH’s complete lack of mining experience. Lithium, and other battery metals such as cobalt, have seen demand soar in recent years as the shift away from cars powered by fossil fuels gains momentum. Some, however, expect prices to drop in the early 2020s as a result of an ever-rising number of projects expected to come online, despite increasing demand from EV batteries makers. According to Moody’s Investor Services, there will be a major structural shift in the industry over the next decade. 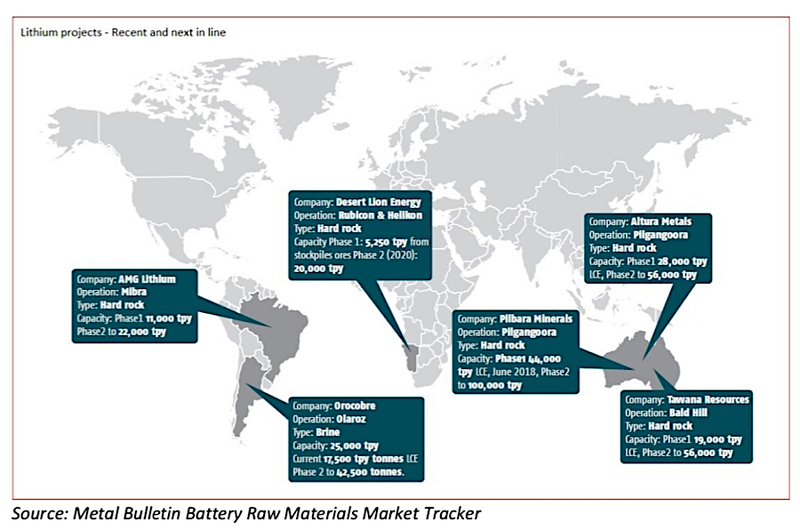 The sector, the report says, will move from a few majors producing battery-grade lithium from low cost brine in Chile and Argentina, as well as low cost ore from the Greenbushes rock mine in Australia, to a more diverse industry. Such sector would include new rock-based entrants mining ore in Australia and selling spodumene to Chinese converters, as well as new rock and brine-based suppliers in Brazil, Canada and the US, Moody's reports.